The Advanced Level Oncology Course is designed to highlight and broaden the clinician’s knowledge and clinical skill set needed for advanced expertise in the management of patients with cancer. This course will offer the opportunity for participants to acquire a more in depth knowledge about cancer pathogenesis and how this plays out in the development of different cancers, and in the design of medical treatments of these cancers. Medical updates on the diagnosis, medical management, and treatment of cancer will be presented along with more in depth clinical presentations of the different cancers studied in the course: Breast Cancer, Head and Neck Cancer, Prostate Cancer, Ovarian Cancer, Melanoma, Leukemia, and Lymphoma. Significant lab time is devoted to the development and practice of specialized manual therapy skills needed for the post surgical and post radiation management of patients with cancer. An in depth look at the tissue healing processes, including the lymphatic system, that result from surgery and radiation therapy will assist with the understanding of the use of these skills and in the selection of appropriate use of modalities. The integration of oncology exercise programs with manual therapy skills will be presented so as to ensure a comprehensive management approach of these patients. Specific exercise guidelines, clinical tests, and screening systems will be discussed for cancer patients in active treatment and post treatment phases. Considerations for exercise guidelines will include myelosuppression, cancer related fatigue, cardiotoxicity, cognitive changes, hormone changes, and bone metastasis. This course will provide an in depth look at developing specialized oncology programs. Consideration will be given to the development of inpatient and outpatient programs including marketing, program goals, referral processes, intake processes, and discharge criteria. Describe cancer pathogenesis and how it is shaping environmental awareness and changing cancer management globally. Discuss the clinical management of breast cancer, head and neck cancer, prostate cancer, ovarian cancer, melanoma, leukemia, and lymphoma. Understand new advancements in cancer treatment: chemotherapy, targeted therapy, radiation therapy, immunotherapy and hormone therapy. Discuss the clinical implications of myelosuppression, cancer related fatigue, cardiotoxicity, hormone changes and cognitive changes in patients undergoing cancer treatment. Develop safe and appropriate oncology exercise programs according to the guidelines, clinical tests and screening systems presented in the course. Perform specialized manual therapy skills for the post surgery and radiation management of patients with cancer (upper extremities, trunk, and lower extremities).. 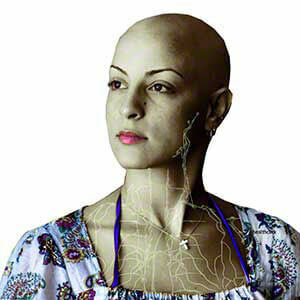 Utilize the appropriate modalities based on cancer history and areas of treatment. Design appropriate inpatient and outpatient programs with the consideration of program goals, referral and intake processes and discharge criteria.